The ReadyNAS 210 is the industry’s first high performance, cost and power efficient network attached storage product that offers transcoding capability of full HD 1080p. The ReadyNAS 210 offers the industry’s leading feature of 5 levels of protection on your documents, photos, videos and all types of data. The ReadyCLOUD portal-based user interface and app on PC, Mac, smartphones and tablets make the RN210 the ideal choice for consumers because of its simplicity and ease of use. *The 3-Year Limited Warranty covers hardware, fans, and internal power supplies - not software or external power supplies. Warranty is only valid for the original purchaser, and modifications to product may void the warranty. See http://www.netgear.com/about/warranty/ for details. Warranty for included drives is 3 years. Community applications include Transmission, ownCloud, Qbittorrent, mySQL, VPN server, Wordpress, joomla, Media Wiki, and others. Application availability subject to change. 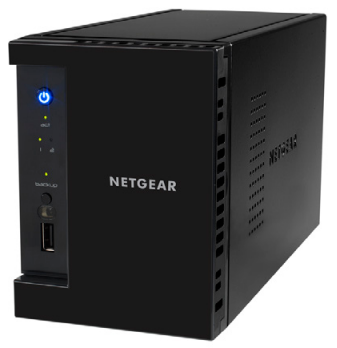 Download the NETGEAR ReadyNAS RN212 and RN214 Series Datasheet (PDF).